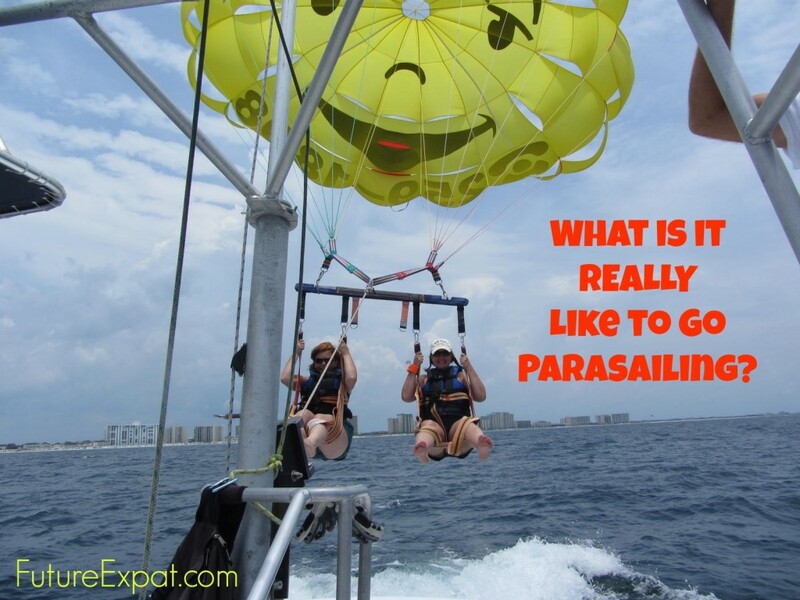 What is It Really Like to Go Parasailing? I have always been afraid of heights. Actually, I should clarify. It isn’t really heights I’m afraid of. It’s falling. If there is a strong railing, you can get me to look over the edge of a tall building. You can get me to walk on a suspended bridge like the ones I found in Costa Rica. But if there is any chance I could slip and fall, I hold on for deal life. As a young child, I was afraid of the 2 foot diving board at the swimming pool. I was afraid to climb the rope attached to the gym ceiling in elementary school. 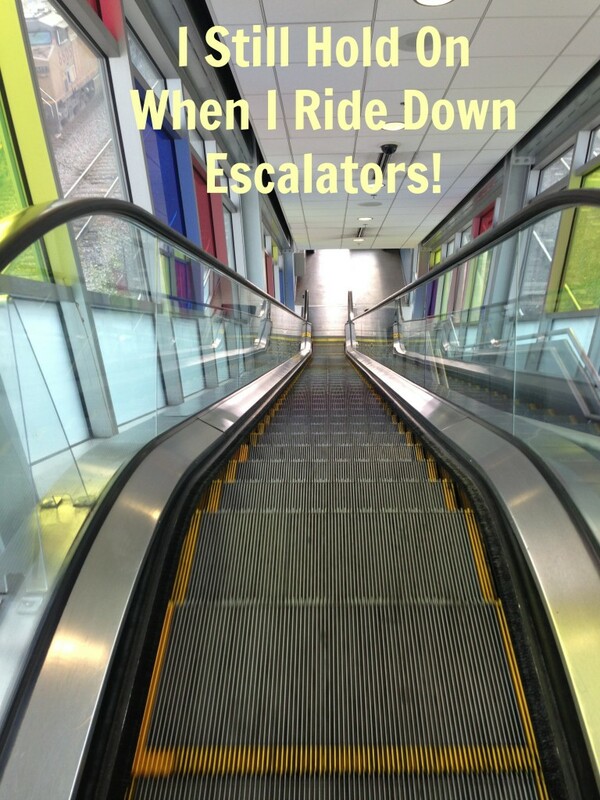 And I was afraid of getting on down escalators. In fact, my Mom knew where every elevator was in the department stores because I wouldn’t get on the escalators. I’m ok with my fear of heights and falling. The things that I won’t do don’t limit my ability to enjoy life. 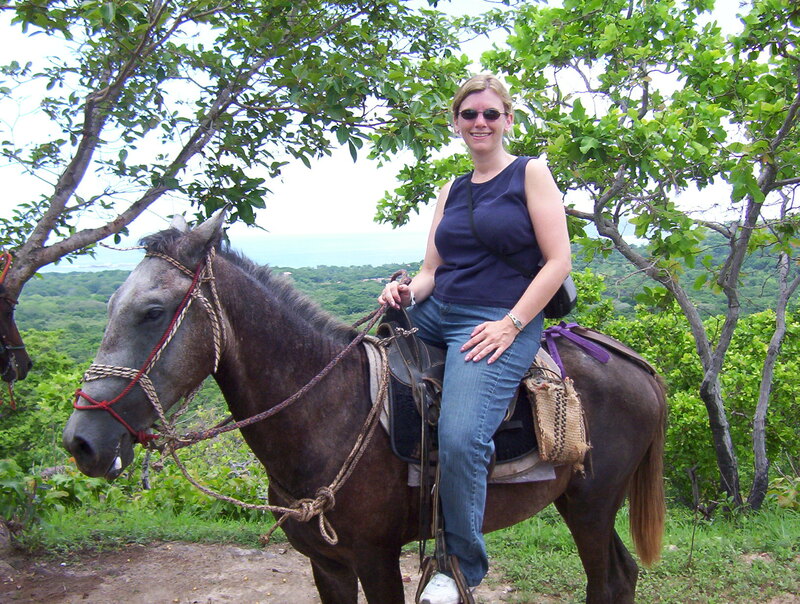 I was happy to go horse backing riding in Costa Rica the day everyone else went zip lining. 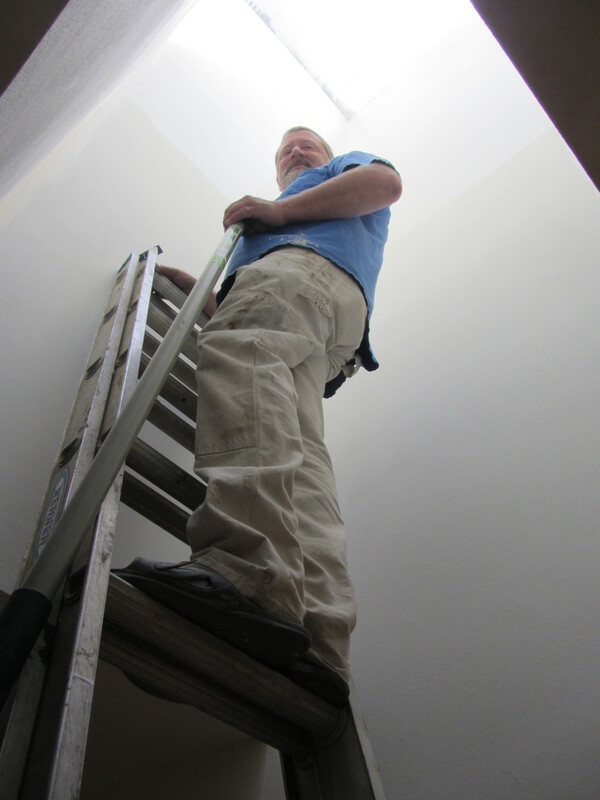 I’m fine hiring someone to clean my gutters or paint my skylight ceiling so I don’t have to climb on a ladder. 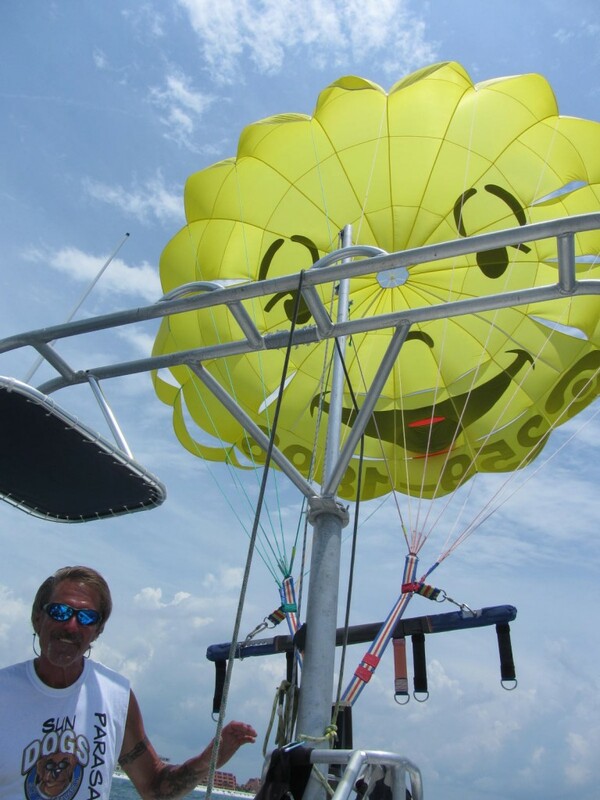 During my recent vacation to Florida with friends, I mentioned to Sandy and Rick that I could never go parasailing because I’m afraid of heights. To my surprise, they immediately shared that he is terrified of heights and she is terrified of falling, and they both loved parasailing. 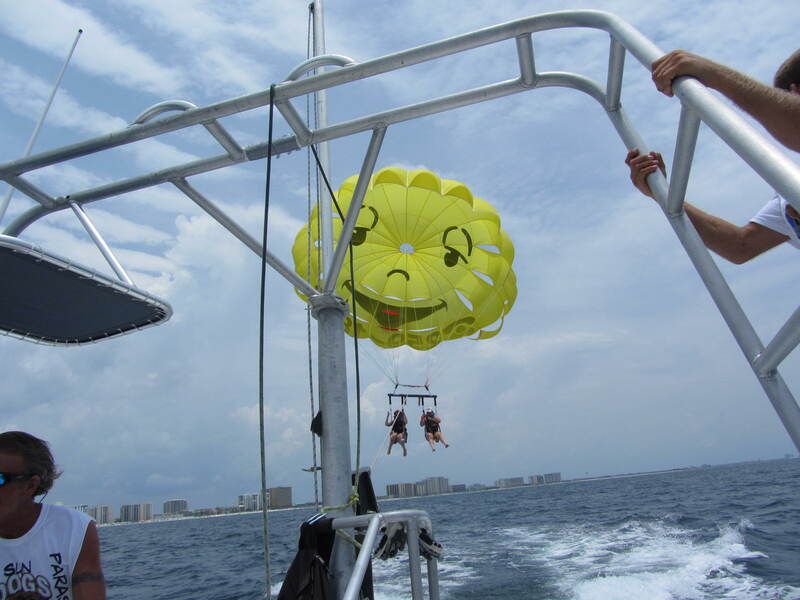 Had they simply said that they loved parasailing and it isn’t scary, I would not have believed them. I would have reacted that it isn’t scary for someone who is not afraid of heights, but that’s not me. They said they could never go visit the Grand Canyon because it would be too scary to get close to the railing and look over the edge. 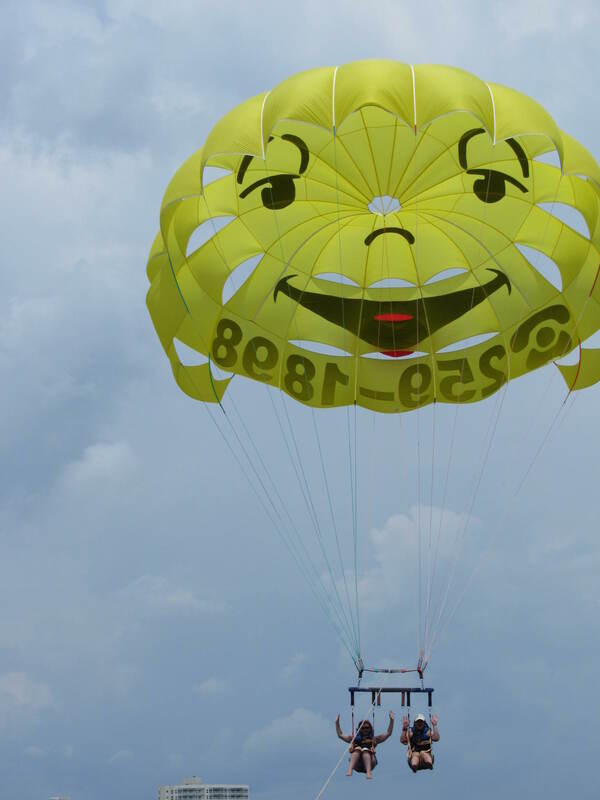 So if they weren’t afraid while they were parasailing, maybe I could do it too. 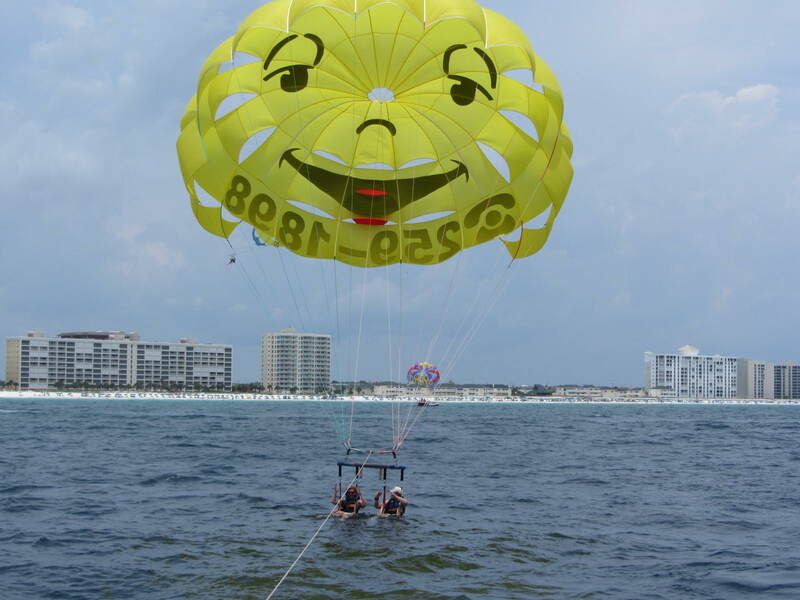 Our other friend Pamela was also willing to give it a try, so we headed to Destin to find a parasailing company (we were staying one beach over at Miramar Beach). We chose Sun Dogs Parasail and couldn’t have been happier with our choice. 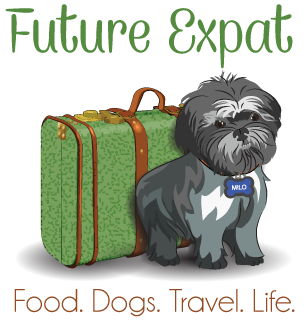 We felt a lot less nervous since the owners ran everything themselves. 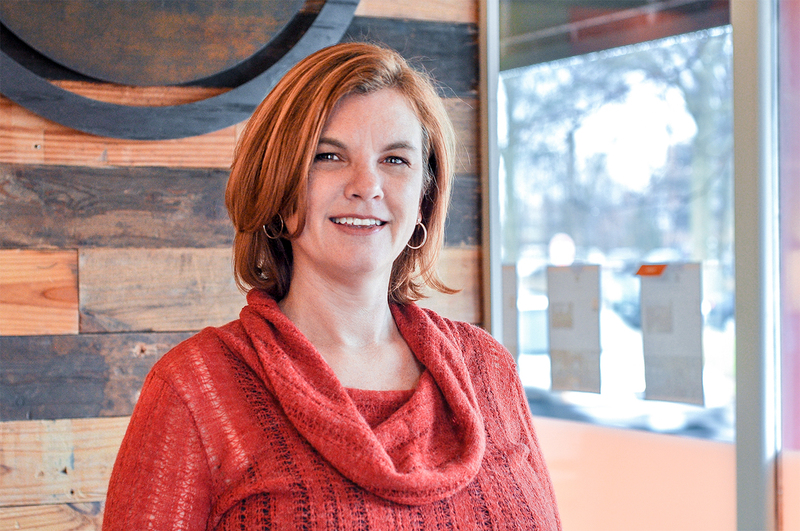 Everyone knows that employees simply don’t care as much about a business’ reputation and safety as much as the owner. 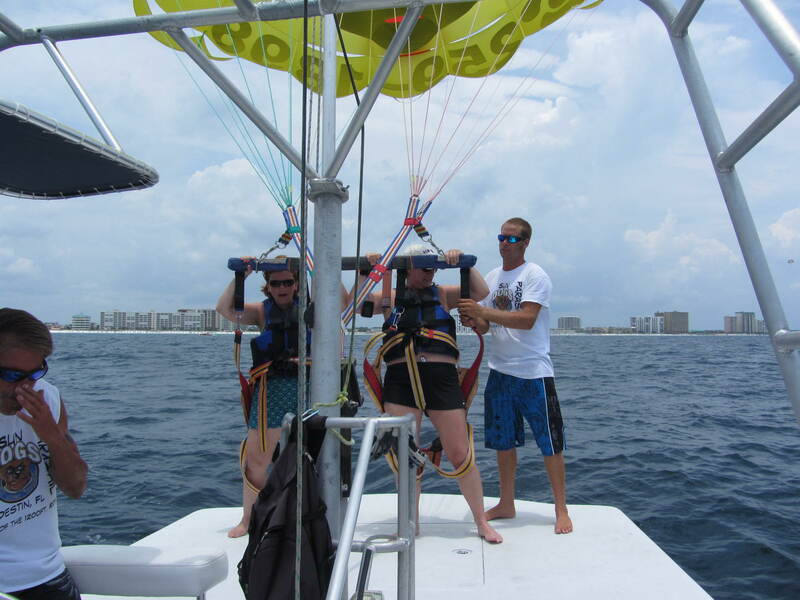 And parasailing wasn’t the place to take chances. For those of you who think I’m crazy and it would be too scary, I can honestly say that you just gently float up and back down. There is none of that sinking feeling in your stomach like when you go down the hill on a roller coaster. I can’t wait to do it again on another vacation. One of the crew members took some pictures of us on my camera while we were up in the air, and we took a waterproof camera up with us too. 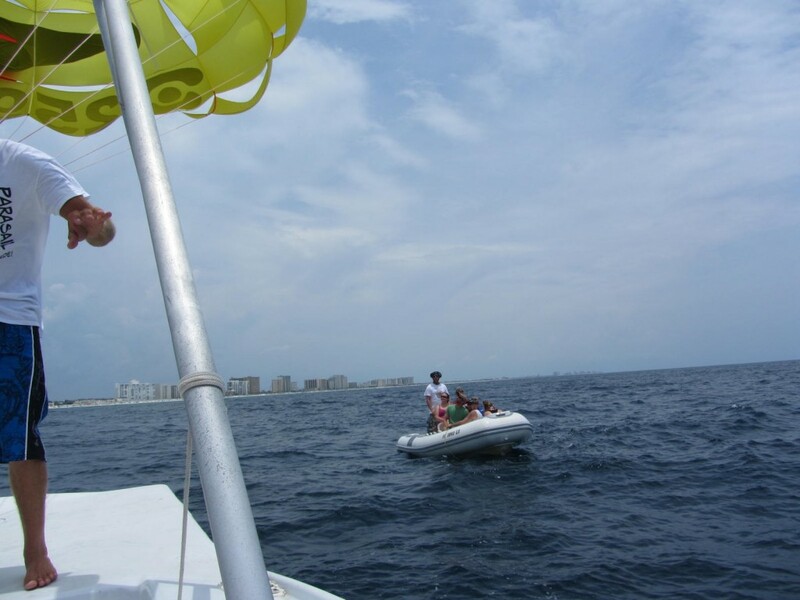 First we took this small boat from the shore to the boat used for parasailing. One of the big advantages of Sun Dogs over other outfitters is that they only take 6 people out at a time, so you don’t spend a ton of time watching everyone else parasail. 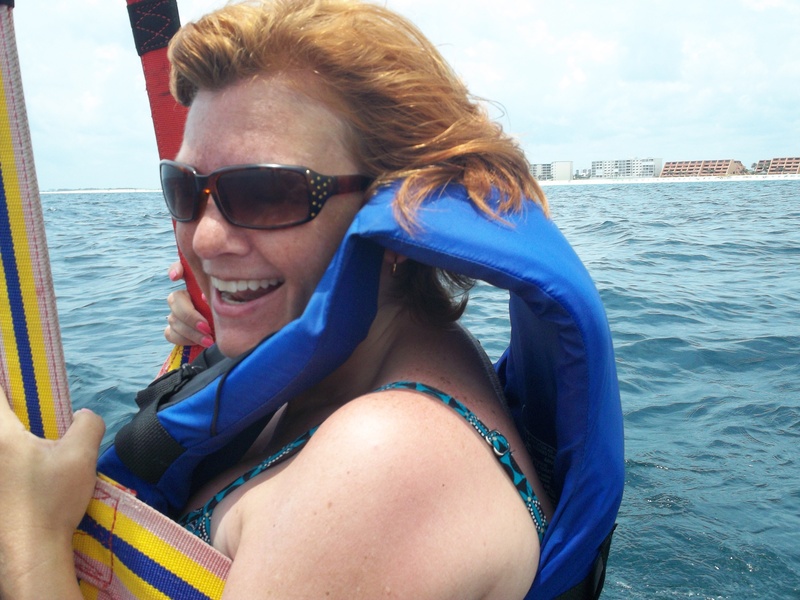 When we were done, the boat showed up with the next batch of parasailers and we hopped on the little boat to head back to shore. This is what you see right before you get hooked up to the parachute. 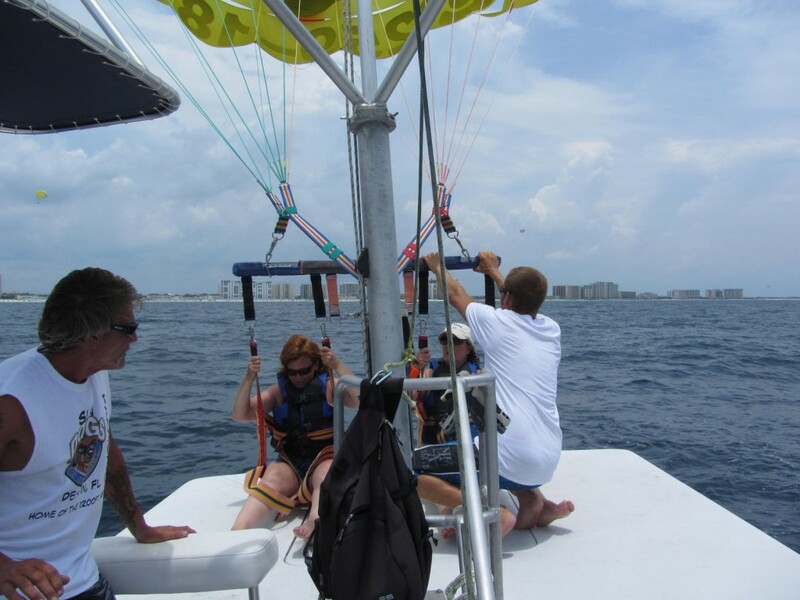 Pamela and I getting hooked up to the parachute right before lift off. This strong young guy held onto the swing that we were hooked up to so we could sit down with our legs straight out. Then he lets go as the boat keeps moving forward and you just float up. 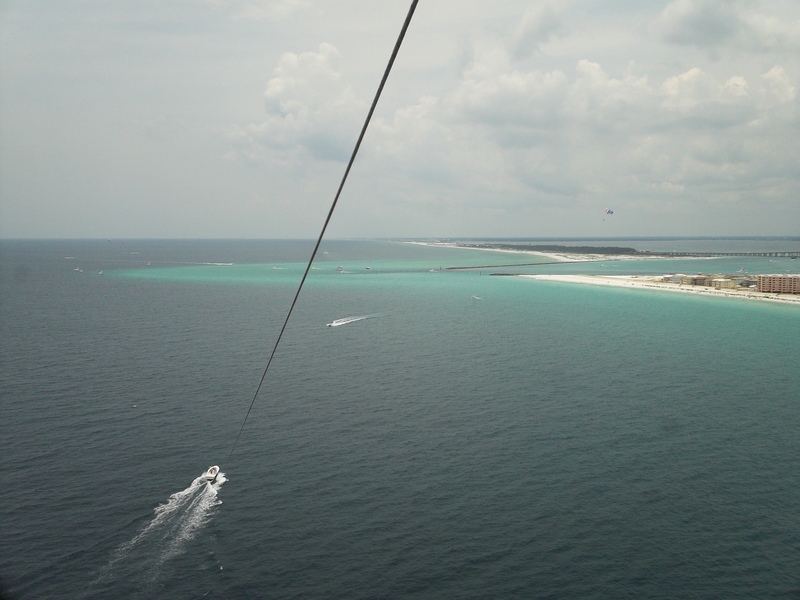 When the line was all of the way out, we were 1200 feet up in the air! On the way down, they dipped us into the water before bringing us back into the boat. Yes, they asked us if we wanted them to do this. You should DEFINITELY say yes. It was fun. And you can clearly tell I’m not scared at all as we approached the water. Me after the ride. It was a blast! Thanks for posting! 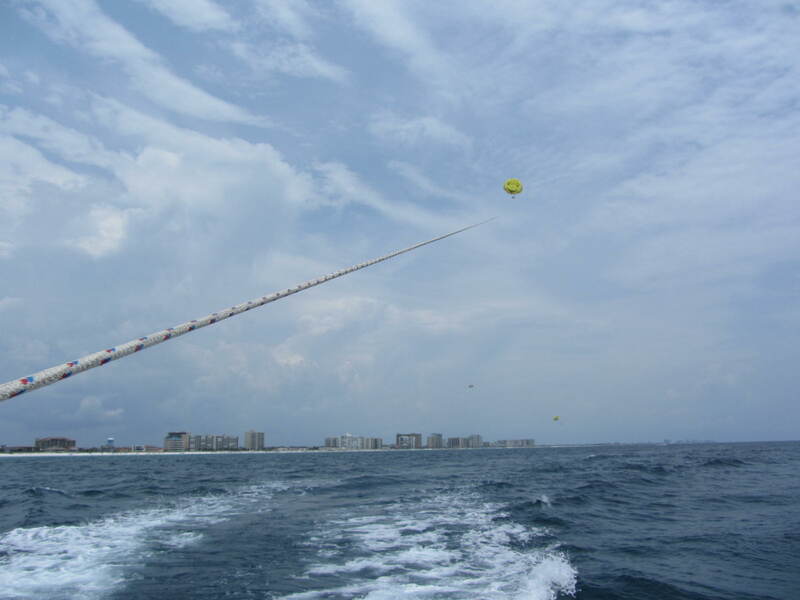 I have a very similar fear of falling and was offered a parasail ride. I wasn’t sure whether to go, but your post was very helpful. I think I’ll take it! Thanks for this. 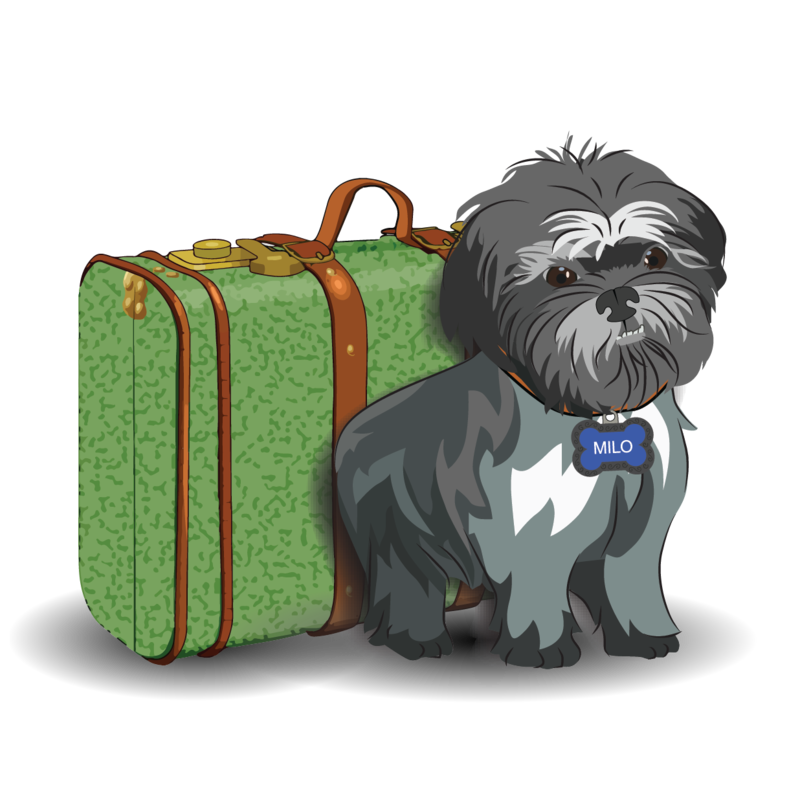 I’m going to Hawaii and I was wondering if I would be scared of it! Thank you! I didn’t. I’ve never been to Hawaii. It’s actually very serene and relaxing it’s surprising how quiet it is up there it’s not scary whatsoever PS I hate heights on a scale of 1 to 10, 10 being base jumping and parascending being 1 rollercoasters around 4-6 if that makes any sense. It’s good do it you’ll be surprised all the fear is in your head and it’s nothing like you imagine. I know. I was surprised too. If you didn’t have to climb a high tower or go over a cliff, I think ziplining might be similar. But I’ll never do that…too scared of the starting point. 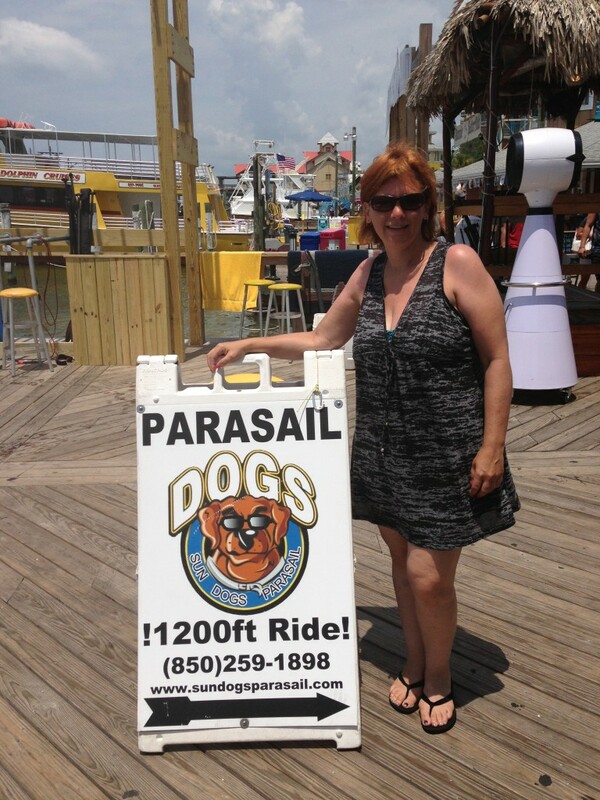 I am terrified of roller coasters and my stomach turning but I have always wanted to do this…. Give it a try. Just go with someone experienced…preferably with the owner driving the boat who understands you want as calm a ride as possible. And do NOT go on a windy day. You will be bounced around a lot and you won’t like it. The second time I did it I was bounced around more. I think it was windier but I also wasn’t scared, and expected to love it as much as the first time (when I was terrified and had really low expectations). So I wasn’t as thrilled with the experience. Next time I think I’ll like it more because I’ll be nervous again and will be more cautious about who I go up with.